That ping you hear is the sound of Echo Location, our 17th volume of Echoes Living Room Concerts. 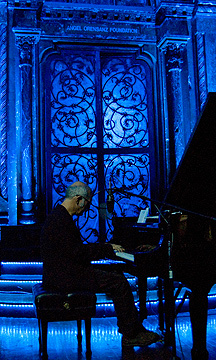 Like the previous albums, it’s a remarkable selection from across the Echoes spectrum of live performances, recorded in locales that range from the Echoes Black Box to a 19th century gothic revival synagogue. appearance with the longest track on the album: “The Crossing.” It’s an epic piece with a slow build into Erik’s soaring guitar wailing melodies. Living Room Concert veterans seem to abound on Echo Location: Robert Rich makes his fifth appearance on an Echoes CD. I guess we must like his music. You can hear why on his track, “Moth Wings,” a piece that’s a bit more purely electronic than Robert’s techno-tribal work. All of the electronic sets were recorded live in the Echoes living room, better known these days as the Black Box. Ryuichi Sakamoto is probably the biggest “name” on the album. We got the iconic eclectic Japanese musician to play a lovely and romantic set of music at the Yamaha Piano Salon in Manhattan. Sakamoto can be cerebral and ironic, but he dug into several mostly nostalgic themes with an interior passion, including this rendition of “The Sheltering Sky,” his theme for the movie of the same name. Less well-known but no less imposing was Balmorhea, the chamber rock group from Austin, Texas. The rock part of their sound is pretty absent these days, and in a 19th century farmhouse in Chester County, PA, they played their quietly epic music accompanied by a string trio. “Truth” is a track that evokes Arvo Pärt’s most serenely spiritual sound, but with a sweeping crescendo that emerges right out of the American heartland. Iceland’s Ólafur Arnalds brought his string quartet, electronics and piano into the studios of Echoes affiliate WITF in Harrisburg for a gorgeous session that truly lived up to the Ambient Chamber Music tag. We picked a track originally from his concept album, …And they have Escaped the Weight of Darkness. Agnes Obel could also fit into the ambient chamber music mold. Her album, Philharmonics was an Echoes CD of the Month in January of 2011. She composes introspective songs with melodic hooks that don’t let go. One of them is “Riverside,” which she played live in a private session at the Rockwood Music Hall in New York City. Agnes joins a growing legion of singers on Echoes. Also among them is Lia Ices, whose album, Grown Unknown was a personal expedition into love and loss. “Little Marriage” is a haunting song featuring mellotron strings and Lia’s vulnerable voice. And it’s the only song on Echoes that includes fingersnaps. When I hear Echo Location, it’s not just a collection of tunes from the radio show, it’s a soundscape that defines a musical aesthetic probing, immersive music that takes you places you’ve never gone before. And you’ll want to go back. Many of the original albums for these songs were Echoes CD’s of the Month. Members of the CD of the Month Club already have them in their collections. You can join them in getting great Echoes music each month by going here: Echoes CD of the Month Club. Join NOW and you’ll also get a copy of Echo Location and a bonus CD. We had the pleasure of hosting Time for Three, the string trio of violinists Zach De Pue and Nick Kendall and double-bassist Ranaan Meyer, in the Echoes Living Room a while back. They gave a performance of almost frightening virtuosity and intuitive interplay, tapping into their more serene and contemplative side with renditions of Imogen Heap‘s “Hide & Seek,” Leonard Cohen‘s “Hallelujah” and their own originals, “Of Time & Three Rivers” and the quiet rapture of “Sundays.” It was the first time they’d ever played “Sundays” live since they recorded it last July on their latest CD, Three Fervent Travelers. Next week we’ll have a complete Echoes interview with T43, but here’s a taste from this week’s Echo Location. You can hear an audio version of this with music from Time for Three. Nick Kendall: I’ve never heard that either. Ranaan Meyer: I swear by it. 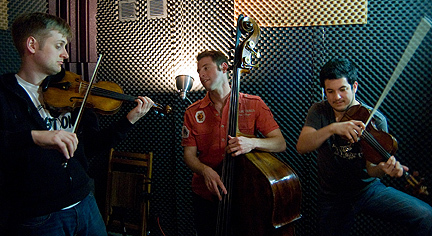 That’s violinists Zach De Pue and Nick Kendall and double bassist Ranaan Meyer. Here’s a few they have heard. Zach De Pue: Three benevolent monsters. Time for Three is a string trio, all of whom were born in the late 1970s. They mostly come from classical music families and they met at Philadelphia’s acclaimed Curtis Institute of Music. But there were a few other things in their background, like jazz. Ranaan Meyer: Well, I grew up not knowing anything about jazz, and when I was 15 I got into it and it was pretty much like straight ahead, you know and Be-Bop at that point, but to tell you the truth now, like I am into all jazz and I grew up playing all jazz, you know after that point. Zach De Pue: That would be me. Just growing up, four fiddle playing brothers, studying classically all year round, in the summer time going around to area fiddle contest in Bowling Green, Ohio, and then actually later on the surrounding countryside, we would camp, and basically learning Appalachian style fiddling, northern style fiddling and lot of fiddle tunes. Time for Three takes these influences and more and fuses them into a sound that can have the flow of improvised music. In concert they don’t use written scores. Nick Kendall: Well this is a different of approach I think. It is completely based by ear and by concept building. However the vibe is going, we can diverge from the actual part to accommodate the moment, so it is completely flexible and I think a lot of times that’s why it comes off as so improvised. We weren’t learning it from an external source, we are actually ingesting it as we play it. Time for Three compose most of their own music and don’t play much from the Masters, unless you consider the Masters Leonard Cohen or Imogen Heap, both of whom they cover. Their latest album is Three Fervent Travelers. We’ll talk with them some more next Tuesday, April 19, 2010, on Echoes. This has been an Echo Location, Soundings for New Music. Japanese post-rockers Mono, attain symphonic dimensions. You can hear an audio version of this blog with Mono’s music. Most composers would take offense if the orchestra playing their music was wearing ear plugs. That was the case with the Wordless Music Orchestra when they performed with the Japanese band Mono in New York City in May. But Mono founder, Takaakira Goto wasn’t insulted. Takaakira Goto: Yeah, yeah, yeah. especially my guitar sound, guitar volume is totally crazy. Mono is nothing if not loud as Takaakira Goto and Yoda bend down on their low stools, feeding their guitars through a distorted wall of sound. When Taka formed Mono, his conception of an instrumental rock band was born as much from necessity as desire. Mono isn’t a noise band. Over the last decade, they’ve been performing a minimalist symphonic brand of instrumental guitar rock, with a sound that has electric storms, but also delicate modal reveries. 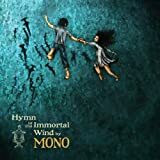 Their latest album, Hymn to the Immortal Wind, was made with Steve Albini who produced Nirvana, The Pixies and Flogging Molly. It’s a soundtrack for a fable-like story that’s scored for a full orchestra. Taka had been listening to classical music, especially the sacred minimalists like Arvo Pärt and Henryck Gorecki. Takaakira Goto: For me, good sounds always shake in the air. And he experiences the same choral effect with his guitars. Takaakira Goto: Two electric guitars combined, it’s a more beautiful voice of the human. The name Mono isn’t a nostalgic plea to bring back the Mono audio format. Taka says he chose it for two reasons. One was pronunciation. Takaakira Goto: At first, the pronunciation of Mono was very easy. But the real reason was for the commitment to a single purpose. TG: Mono means kind of a single. Mono is focused on their aspirations towards a symphonic rock. Their Hymn to the Immortal Wind is released on Temporary Residence. I’ve got a more extensive interview with Mono next Monday including comments from Steve Albini. This has been an Echo Location. Follow link to original blog post which has links to two free download albums of electronic music. Seb Taylor started out as a Death Metal and Thrash guitarist, but you’d never know that from his many recording personas, among them, Shakta, Digitalis, Angel Tears, Hibernation and Kaya Project. Ever since he got digital, Taylor has been dancing through variations on trance, downtempo and especially, ethno-electronica. 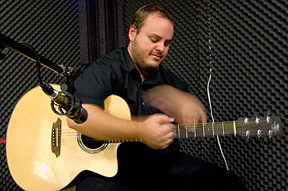 He was recording Techno-trance music when he formed Kaya Project with keyboardist and singer Natasha Chamberlain. 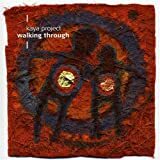 Like a bunch of other English outfits, including Loop Guru, Trans-Global Underground and Bombay Dub Orchestra, Kaya Project takes world music elements and mixes them in electronica landscapes. The third Kaya Project release is called And So It Goes. The title may suggest a certain resigned attitude or a nod to Billy Joel. Speaking from his London studio, Seb Taylor says that neither was the case. Seb Taylor: And So It Goes is actually a tribute to Kurt Vonnegut. That’s something he used to mention in some of his books. Later on I also found out it was a song by Billy Joel, so, I may not have called the album that if I’d known at the time. 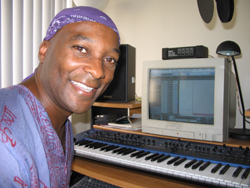 The music of Kaya Project is constructed as much as it’s composed. A song like “The Source,” comes from different sessions, different times and different parts of the world as well as both physical and virtual realities. Seb Taylor: That track originally started by somebody getting in touch from mypace, an amazing singer named Deeyah. That finger-picked sound was a friend playing mandolin in the studio that day. 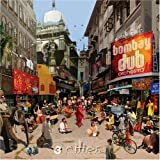 The violin I recorded in India a couple of years ago at some really fantastic Bollywood sessions. So they are all completely disparate elements brought together in one space. For Seb Taylor, even Americana is world music. His guitar playing draws deeply on American blues and folk. Seb Taylor: I’ve been really getting into slide guitar, Americana folk. That’s definitely where I’m at moment. 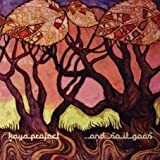 And So It Goes, by Kaya Project is the Echoes January CD of the Month. Seb Taylor also recently released an album under his Hibernation guise, Some Things Never Change on the AlephZero label. That CD is an album of swampy electronics and mysterious voices from the edge. This has been an Echo Location, Soundings for New Music. You can read a more extensive review of And So It Goes here. In another time, say the 1950s or 60s, Saul Stokes might have been considered an experimental composer, constructing his own instruments, creating random events, bypassing conventional musical form. But rarely has an experimental composer made music as haunting and soulful as that heard on his new CD, Villa Galaxia. 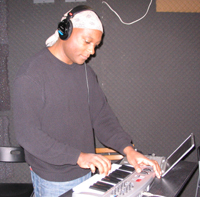 Based in Oakland, California, Saul Stokes doesn’t use pre-packaged sounds or samples of conventional instruments. His timbres exist purely in the world of circuitry, diodes and computer chips. He even invents his own instruments out of cheap circuitry and instead of keyboards, creates original control interfaces. They’re elegant looking, but cranky devices, that you won’t find at your local Sam Ash Store. They often generate unpredictable sounds and Saul Stokes likes that. 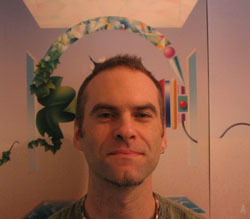 Saul Stokes has certainly recorded his share of abstract electronic music. He even has an album called Abstraction. 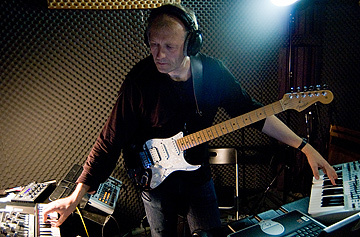 But on albums like his new CD, Villa Galaxia, he reins in his sonic experiments, welding them together with his controllers and computers, building structure out of chaos, and resolving it all in music that shares a Mobyesque sense of melancholy. 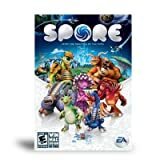 Along with Brian Eno, Saul Stokes composed music for the video game Spore. As you listen to Villa Galaxia you might feel like you’re inside one of those games in a kinetic ride of pings and zings, surging chords and exploding timbres that carry you through each scene. It’s a sound that expands beyond the confines of the computer screen into a cinema of the mind. 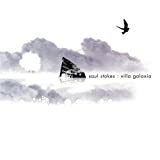 Fans of William Orbit, Ulrich Schnauss and Boards of Canada should find resonance in the music of Saul Stokes. His latest album is Villa Galaxia. This has been an Echo Location, Soundings for New Music. Artists like Tangerine Dream and Klaus Schulze did have musical children and among them is a musician named Vic Hennegan. He makes a music born of technology and reveling in spacious rhythms and layered timbres. Vic Hennegan is an imposing figure, tall, athletically built with a dark brown complexion and a shaved head covered by a bandana. He grew up in a black community in Philadelphia, but even as a child, his mother took him to psychedelic ballrooms like the Electric Factory and his very first concert was the Beatles in 1966 at JFK Stadium. That might explain why Vic Hennegan had a problem connecting with black culture. He tried getting into the soul sounds that his sister and friends enjoyed. Vic Hennegan: I decided, I guess I was about 12 years old, I was going to be into black music. Because you know I’m black, I should be into black music, you know, so I was watching Soul Train, I was learning how to do the Soul Train dances and I was listening to the O’Jays and everybody, because that’s where I should be right? And it just didn’t work for me. He realized the Beatles turned him on more than the O’Jays and he started playing guitar. But his musical direction was launched when he heard the space music put out by Philadelphia radio station WXPN. He actually listened to me spinning records there in the 1970s and 80s. Vic Hennegan: I’ve always loved electronic music, it’s, just been a part of me since I discovered in like the mid to late 70s, thanks to you. You and the shows you produced were my biggest influences. I listened to Star’s End and Diaspar and it changed my life.